Location: The bulk of the Wildfire clan have settled down in Kirigakure, though some still dwell in tents and wander as nomads in the deserts of Sunagakure as they did before settling. Clan History: The Wildfire are not from any of the great ninja nations or even from the same continent. They come from modern day Europe closely kin to Celtics. They were originally farmers and peasants by the name Durington and mixed their lineage with the Hollaway family to get a group of misfits known for mischief and the burning of neighboring village crops. For burning other peoples crops to monopolize the markets, other tribes began to call them "Wildfires" and were typically hated by all. The first real protege to make anything of himself was William Wildfire, who invented a strange stringed instrument latter to be re-invented and named the "steel guitar" he was not a trouble maker and became a well known as a popular musician. As an artist he made a fortune and practically redeemed the wildfire name. More musicians came after him and one by the name Daniel Wildfire had a particular gift for communing with nature through his song. He preferred the company of animals out in the wild and let birds nest in his beard. His music caused the trees in the land to grow taller than any trees on the globe and take up a reddish hue to them. These same trees would latter be used to carve into stringed instruments for the wildfires as the wood carried sound better than oak or ceder and some superstitions said that they still had Daniel wildfires breath in them. A humorous thing about him was he as short and had pointy ears, making people call him an "Elf" or "Imp" and possibly this could be were folktale of elves in that part of the world came from. Some of the latter descendants would share in having pointed ears. His music would be latter used by Alexandra Wildfire for nature worship spells and ceremonies. Alexandra became the first matriarchal figure to unite the clan and rule them beside a sisterhood of witches known as "The ring". They worshiped a goddess and referred to her as either "Mother" or just simply "The dark queen" and discovered ways to perform black magic with their songs to manipulate the minds and emotions of others. She also prophesied "The great purging" in which the unworthy souls of their clan would burn in Hades and the strong would go to the heavens. She had gotten this prophesy wrong, because she believed the strong would be worthy of the heavens but it was actually the pure of heart. Latter when Serenata Wildfire visited their ruins she fulfilled this prophesy. However it would latter need to be repeated for the Wildfire who leave to cross the sea and live among the shinobi nations. Alexandra was succeeded by Impaz Wildfire who began the practice of human sacrifice in the name of the goddess. At that time other tribes began to fear the once insignificant tribe and resent them. Once they were in earshot of their mind warping music swords and spears were rendered useless. And, young virgins were being kidnapped to be the victims of their sacrifice. The clan split into two groups: the Ring lead by Ipaz Wildfire and a nomadic tribe lead by Vibratoo Wildfire. The two latter engaged in a civil war against the other. An allied force of neighboring tribes and the wildfires lead by Vibratoo hunted down and eliminated the members of The Ring. As tribute, their allies forged for Vibratoo a golden violin that he gave to his daughter Jane Wildfire. For almost two decades the land was at peace until the black bible witten by Alexandra was found hidden away in catacombs of the forbidden woods by Joseph Wildfire who learned them in secret and used them to become head of the clan. He stole the golden violin of his great aunt Jane and used it as the first major weapon of mass destruction. No weapon could out range him once he equipped it to the first electric amplifier. Having grown a discipleship of his own kin the Wildfire clan single-handedly took over the Celtic lands as an empire. For twelve generations the Wildfire clan went unrivaled and feared throughout the entire land as a force to be reckoned with and yet not a single blade or weapon was used in their conquest. But their rule came to an end when all the tribes they hoped to control united together to form a brigade and rose up against the arrogant and unsuspecting wildfires. They cut off their ears and plugged them with fat from goats or surgically removed organs of the inner ear to make them deaf so that the music wouldn't take over their minds, make them commit suicide, or end up a suffocated by rigor mortis. During the siege their king, Charles Wildfire, carved a song on the walls of his throne room, and left the golden violin on the throne. In case his clan had survived and returned they would be able to find all their old secrets by playing what he wrote on the walls on the gold violin. In his attempt to seal away all the wildfire secrets he was assassinated by a traitor who took nothing from the secret chambers under the throne because, he believed "killing him was the best reward". The assassin goes unknown but apparently the only wildfire to have no musical skill and used a bow to shoot Charles through the eye. Charles lived just long enough to play the last note on his silver harp and the room was sealed before the armies of their enemies could storm the throne room. No treasure was taken from the castle, the people believed that if they took anything from such a wicked place they would be cursed and their souls damned to hell. But the wildfires did not die off there. A small group of the Wildfire escaped through the catacombs under the castle, among them was Isabella Wildfire, heir to the throne. Being hunted in every region they decided their only survival was to risk the great sea. They took refuge on the coast with a neutral nation of mostly fishermen until they had the finances to board three ships to take them as far as the sea could. When they finally washed up on the coast in the land of waves only one ship remained and those on board were sick and feeble but, alive. Upon arriving in konahagakure they were seen as "Foreign devils" and the cause of a new plague. They sought to eliminate the clan and scattered them through out the great ninja nations. They were nearly annihilated from every nation accept in Kirigakure and Sunagakure but the kage of those two nations whittled their number down to less than a score and chased them out into the outskirts of Sunagakure. The Mizukage and Kazekage at the time personally tracked down the last of them Isabella and Henry Wildfire. The Kage didn't think of it as hunting an enemy anymore but rather something almost lea surly as hunting turkey. When they found them the Kazekage asked if they would have any final words before their execution, Isabella requested she not express her last words verbally but through her harp. Her and Henry played from their hearts in a duet of harp and cello. They played expressing their love for each other, sorrow for their lost kin, and giving thanks to their goddess for letting them live so far. The kage were stunned that such sounds could exist and thought it was perhaps the voices of angels. They had a change of heart and allowed the Wildfire to live under two conditions: 1 they do not intermarry or breed with any native bloodline and 2: That they do not partake in any military faction. They are not permitted to be ninja for two reasons, the first being that they are foreigners and not trusted, the second was for their own protection. Since they became so few and were so weak as combatants this was for their own protection. Afterwards they settled in Kirigakure and Sunagakure and grew in number to the point someone could at least call them a clan again. The ones in Kirigakure dwelled in wood cabins in the forest while those in Sunagakure lived in tents of goat skins and still wander as nomads. Like in the old days their musical talents were unmatched by anyone but lacking the black bible(or book of shadows), and incantations of old their songs had no power to pose a threat to anyone. It became a popular trend for rulers, political officials, noblemen and even kage to have a Wildfire in their courts as personal entertainers. Some became celebrities, or renown teachers. Not all would play instruments as a trend in them changed and dancers, and singers rose up from them too. So long as they don't disobey the two laws the Mizukage and Kazekage decreed to them no nation has reason to fight them, and dwell under the protection of their governments shadow. Most governments even forget they even exist as they quietly mind their own ways not indulging in other affairs. Description:The Wildfire are an exceptionally intelligent people having invented many devices of sound enhancement and proficient in music. No one in all the lands can rival their natural talent for the production of sound. And for most this is all they care about in regards to other matters. They are peaceful minded and sympathetic. Most of the time they are submissive toward the nation they dwell in and oppose all violence and warfare. Someone might compare them to being the "Hippies" only their not drug addicts. They are typically calm and serene. It is difficult to make their blood boil and usually resolve matters through peaceful negations. Outsiders of their clan find one thing slightly annoying about them in that their other skill other than music is they seem to always win gambling events or dominate trade markets. Because of their lacking of agression no police force was ever needed to control violence but there have been a rare few who were radical. Unique Traits:Unique traits of the Wildfire would be their silky black hair softer than velvet, red eyes, and some develop pointed ears at various ages in their life. They vary in height but most have thin bodies. Some mistake them for Uchiha from a distance because their red eyes have a shine to them like the sharingan. Against the rule set by the two Kage an Uchiha took a Wildfire to be his wife and since then their eye color changed from a bright green to a blood red. But they have not inherited any of the sharingan abilities. Wildfire also have lightning nature chakra, but its so weak it cant be used combatically but they do often use it to power electric instruments. Strengths:They always produce the top musicians, and have high levels of intelligence, and beauty. If the patience and time is taken to train properly they might succeed in powerful genjutsu and have good agility for evasion. Weaknesses: Physically they are fragile and lack stamina to perform even the simplest of taijutsu. They have close to zero potential for performing ninjutsu and have only the slightest chance of doing genjutsu. Many have heart conditions preventing heavy physical work. It is estimated that one out of a hundred could have what it takes to be a warrior. Restrictions: You will never see a Wildfire making a hand sign for ninjutsu because this is something out of the scope of their abilities, nor would they be caught on the front lines trying to barge their way through with brute force. Their weak bodies and fragile bones just won't hack it. Clan specific Jutsu: Song of Songs. This was played by Isabella and Henry Wildfire to change the hearts of the Kage to have mercy and allow them to live. It is not a jutsu of any sort but has been passed down as a memorial to their past. 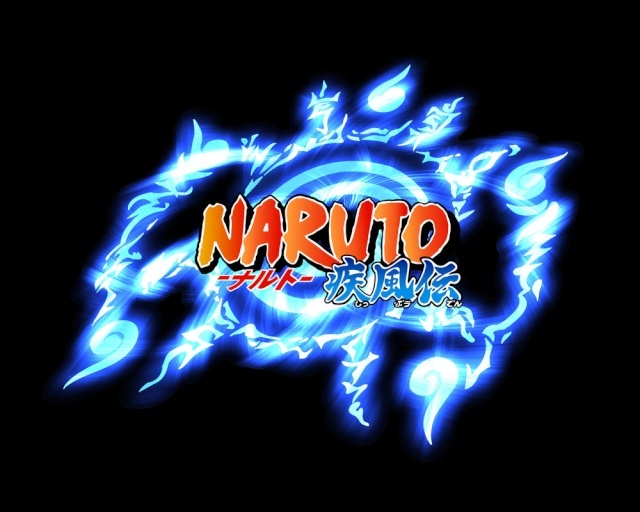 Though it is debatable if it was used as a genjutsu or not when it was first played. It was never given a name and since no one could give a name to describe it they simply called it the song of songs since without it they would not be. Shadow Duet. This is a genjutsu used by musicians to make their shadow appear three dimensional and echo sound off the ground beneath it to make it look and sound like there are now two musicians instead of one. It is used as a tool to practice music so one can compete against his or herself and rarely used for combat and by the time even a Wildfire is able to perform this they would have had a minimum of 12 years experience in music, applying it to genjutsu is another story. Member limit: Eight members will be the limit for this clan. Other than fixing the clan specific jutsu to format the template it is accepted. you can fix that later because i was able to read and understand it. this is very good and well developed.